Ernest A. Parada, a member of the Senior Executive Service, is Director, 84th Combat Sustainment Wing, Ogden Air Logistics Center, Hill Air Force Base, Utah. His organization directs all center-level staff functions for Ogden Air Logistics Center's supply chain management operations. 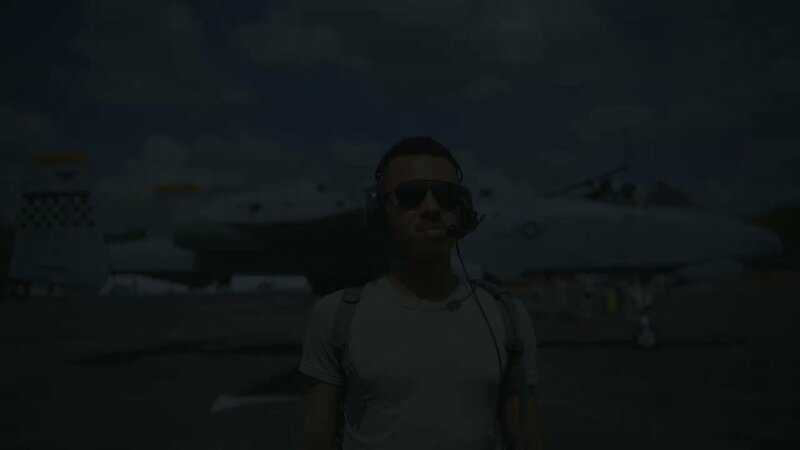 He is also responsible for aircraft supply chain management for A-10 and F-16 unique components, and for Air Force landing gear and secondary power systems. In addition, Mr. Parada manages engineering data and the center's technical orders, and he is responsible for assigned classified, munitions, and space and command, control, communications and intelligence programs. Mr. Parada began his Air Force career in 1977 after serving in the U.S. Marine Corps as a presidential helicopter crew chief. He has experience as an aircraft mechanic; an equipment, production management and logistics management specialist; and as an acquisition manager at various levels. Prior to his current position, Mr. Parada was Director of Plans and Programs, Electronic Systems Center, Hanscom AFB, Mass. 1972 Associate degree in physical education, Cabrillo College, Aptos, Calif.
1985 Bachelor of Business Administration degree, National University, Sacramento, Calif.
1988 Master of Business Administration degree, National University, Sacramento, Calif.
1991 Defense Systems Management College, Fort Belvoir, Va.
2002 Master of Science degree in national security strategy, National Defense University, Washington, D.C.
1. June 1977 - March 1985, aircraft mechanic and equipment specialist, Sacramento Air Logistics Center, McClellan AFB, Calif.
2. March 1985 - March 1986, Chief, Structures, and Egress and Flight Control Unit, SM-ALC, McClellan AFB, Calif.
3. March 1986 - September 1988, Chief, Modification Management Section, SM-ALC, McClellan AFB, Calif.
4. September 1988 - June 1989, logistics management specialist, SM-ALC, McClellan AFB, Calif.
5. June 1989 - October 1992, Chief, A-7/JPATS Program Management Section, SM-ALC, McClellan AFB, Calif.
6. October 1992 - February 1994, Chief, A-10/A-7/JPATS Program Management Section, SM-ALC, McClellan AFB, Calif.
7. February 1994 - March 1995, Chief, Acquisition Branch, SM-ALC, McClellan AFB, Calif.
8. March 1995 - April 1996, A-10/F-111 Deputy System Program Director, SM-ALC, McClellan AFB, Calif.
9. April 1996 - June 1997, Deputy Chief, Plans and Programs Integration Division, SM-ALC, McClellan AFB, Calif.
10. June 1997 - December 1998, B-2 Deputy System Support Manager, Oklahoma City ALC, Tinker AFB, Okla.
12. August 2001 - July 2002, student, National War College, Fort Lesley J. McNair, Washington, D.C.
13. July 2002 - June 2004, Director, Plans and Programs, ESC, Hanscom AFB, Mass.